Looking for more tips on using public transport in Paris? Don’t forget to get our 2019 INSIDR Paris Transportation Free Travel Guide! Taking the bus in Paris, taking the metro in Paris and even walking around Paris can be a breeze with the right information about navigating the public transport systems in Paris. Traveling within Paris via public transport is not expensive, especially with the right pass. Keep on reading to learn about the different options for Paris’ public transport and their different fees! For information on how to get to and from Paris’ airports via public transport, read this article instead. The cheapest and easiest option to travel around Paris, the Paris Navigo Découverte pass, allows you to travel to and from the Paris airports, around the city center and to many other tourist destinations. The pass costs 22.15€ per week or 73€ per month, and can be loaded for weeks of Monday-Sunday night or for a calendar 30-31 day month. To learn about where else you can travel with this travel pass option, click here for day trips using the Navigo Découverte! Another thing to know about the Navigo Découverte pass is that you must pay 5€ for the card itself and have a passport sized photo with you to add onto the back, along with your name. If you don’t have a photo with you while in Paris, you can take one in the Parisian metros in a photo booth. If you don’t want to purchase the Navigo Découverte pass or won’t be in Paris a whole week, the other most cost effective solution to public transport in Paris is to buy a ‘carnet’ of metro tickets, 10 for 14.50€ or a book of 20 for 29€. Normally, a single journey for one Paris metro ticket costs 1.90€. If you’re traveling with children you can get a book of 10 tickets for them as well for 7.25€ (only for children under 10 years old). These tickets can be bought, much like the Navigo Découverte pass, in Paris metro stations. 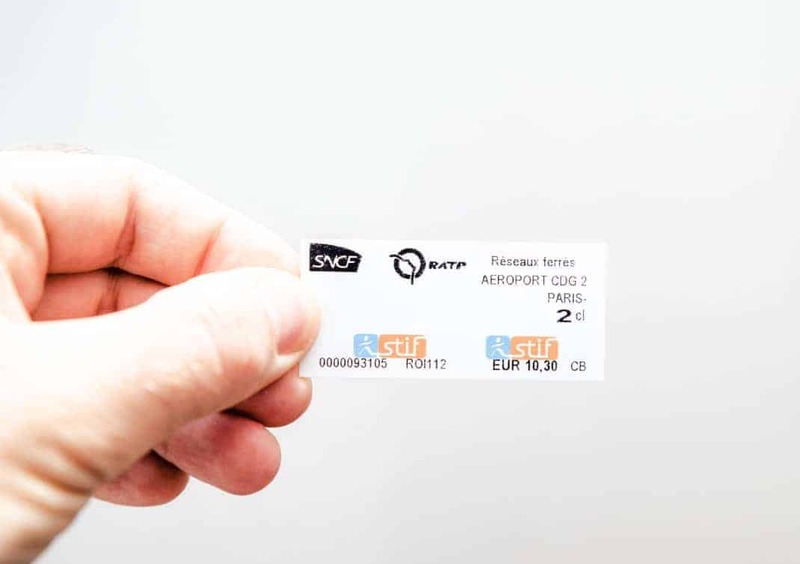 Unlike the Navigo Decouverte pass, traveling to Versailles or Disney or even the airports, are not covered by these tickets. You must buy extra tickets to go to these destinations. The cheapest way to navigate Paris with cellular data, is to rent an INSIDR phone, which will come pre-loaded with the best app for navigating the city both on foot and by public transport: CITYMAPPER. You may also purchase Tourist Passes, for the same service as a Navigo Découverte pass for a much more elevated price. For the most effective public transport pass be sure to purchase the Navigo Découverte pass instead!